We are proud to distribute the 2MW Horizontal Axis Wind Turbines from Urban Green Energy (UGE). 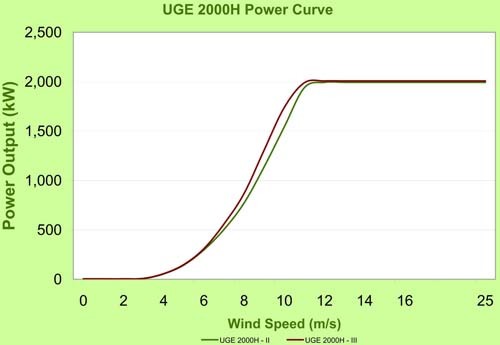 The UGE 2000H is tailored to meet local characteristics such as grid specifications and wind conditions. Various tower heights and blade lengths are available; versatility that makes it adaptable to a wide variety of sites. Cooling and heating systems mean that weather is never a concern. In fact, the UGE 2000H can withstand temperatures as low as -40°C and as high as 55°C. The UGE 2000H is one of the quietest wind turbines in its class at just 102dB(A) at a wind speed of 8m/s as measured at the base of the tower. The generator has Class F insulation to ensure noise is not an issue. The blades are engineered to minimize noise. The UGE 2000H is manufactured in ISO9001 and ISO14001 certified factories to assure both quality and sustainability. Quality of our products is considered in everything we do. 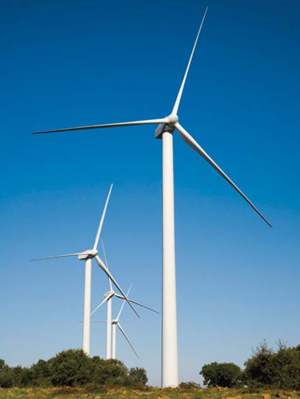 Our dedication to the wind energy industry ensures we always deliver high quality products and customer service. Furthermore, after we have completed our own quality tests, SGS (www.sgs.com) performs the pre-shipment certification on the wind turbines with the following scope: visual inspection, dimension control, review of test/inspection records, check of packaging.